Select a check box next to the node or nodes to perform an operation on. Select the box next to the Datacenter column label to quickly select all nodes. Frequently performed actions such as repair and startup are available from the List View menu. The Other Actions menu provides options for less frequently performed actions, such as moving nodes. For more information, see Node management operations. 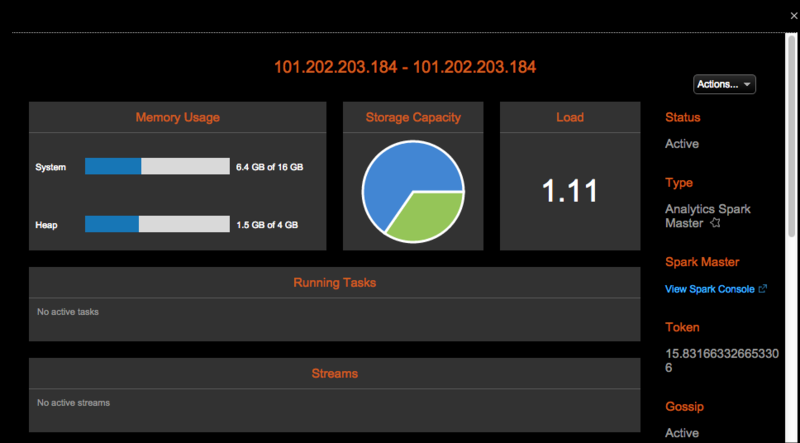 Datacenter: Filter by datacenter node type category of All, Analystics, Cassandra, or Solr.